Lycoming College hasn't added a story. A number of brave Edgers will have the opportunity to rappel down William Hepburn Apartments, in exchange for donations back to the amazing local non-profit organizations, River Valley Regional YMCA, Williamsport Area School District Education Foundation, and the YWCA of North Central Pennsylvania. Experience the once-in-a-lifetime opportunity to rappel down William Hepburn Apartments! Donations made to this campaign will be split equally between these three worthy causes! The Williamsport Area School District Education Foundation is a recognized nonprofit affiliate of the Williamsport Area School District. 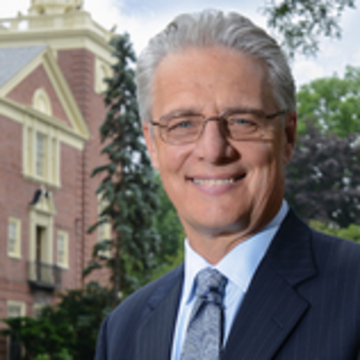 Led by a 20-member volunteer board, the Foundation facilitates charitable giving and permanent legacies based on individual areas of interest in educational innovation, the arts, athletics and scholarships. Since 2004, WASDEF has been supporting students and teachers across the district with the financial resources provided by donors. Just since 2012, WASDEF has both raised and allocated more than $1.6 million to the district in support of capital projects, programs, initiatives and scholarships. In that same time period, the Foundation has grown by $466,000. Over the last decade, WASDEF has grown in its mission in supporting students across the district by promoting, sponsoring and encouraging educational activities, having generated more than $1.7 million in net assets. In 2017, WASDEF was named as one of the Top 10 Performing School Foundations in Pennsylvania through a doctoral study at Point Park University in Pittsburgh. For 125 years, the YWCA in Williamsport has met the most pressing needs of our community What originally was formed to provide safety and recreation for young women working and traveling in Williamsport, has transformed to the truly life-saving programs of Liberty House and Wise Options. Today, women, children and men have the opportunities to find safety and peace after violence and homelessness have upended their lives. Through Protection From Abuse orders, to Renter's Certification classes - the YWCA gives all those in need the tools, resources and encouragement to build their own bright future. For more information or with any questions, call Anna at (570) 322-4637, ext. 159. Lycoming College hasn't posted any updates yet. 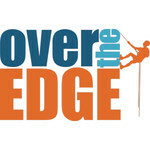 Over The Edge USA is managing the funds for this campaign. © 2018 Over The Edge.